Our modern and sleek space offers the ideal setting for any event. 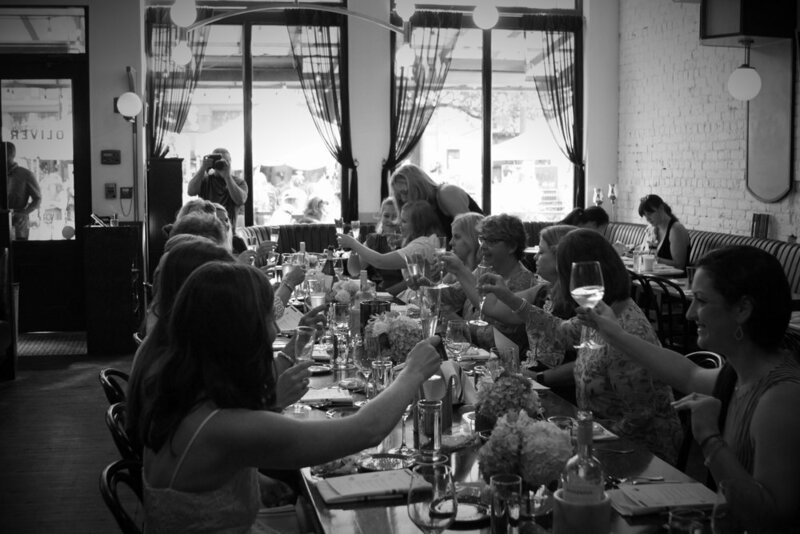 We are especially experienced in bridesmaids’ luncheons, wedding rehearsal dinners, anniversary extravaganzas, and special group celebrations. What makes our restaurant even more ideal is our communal table which extends down the center of our sophisticated black and white floor tile. With the ability to seat up to 28 people, our communal table ensures the optimal family setting with ease to: carry on conversation with relatives and friends, plenty of access points to staff, and lots of space when choosing the family style option with our innovative food and craft cocktails - all of which offer an intimate social and dining experience for your guests! 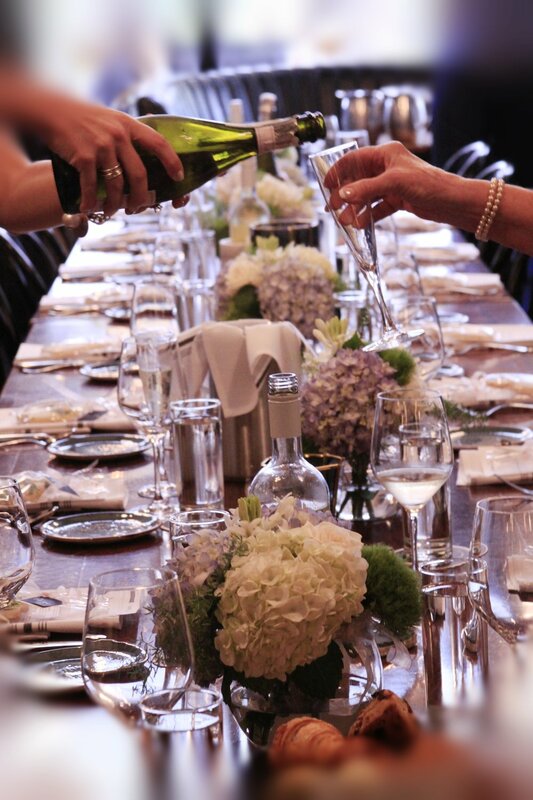 No need to worry about food and beverages when you reserve your event with us - we’ve got that part covered! With every season change, and for every special event, we work with you to develop special pre-set menus to create an unforgettable experience. Our manager and kitchen staff will walk you through our many options: number of courses, types of appetizers and entrees, and selection of our delicious desserts. Need wine and cocktails to accompany your courses? Our knowledgeable bar staff will help you create an excellent welcome-themed cocktail to get your party started! And if you so wish, we also offer an array of exclusive wines for you to choose from. If you would like more details or would like to see our space, feel free to contact Casey Brooks at CaseyBrooks@theoliverhotel.com. We look forward to making your next event special and memorable!